Hong Kong is well known for being crowded, the living standard of the grass wood locals is unimaginable. Many live in cages, and some live in sub-diving flats where, in some cases, a family of four will be sharing a room of 30 sq. ft.
Chinese from all over China rush to Hong Kong to give birth to their babies. The parents of these anchor babies (which means neither of their parents are Hong Kong residents) argued that they only want the best for their children (because the education in China is too bad, according to them). However, they conveniently forget that the approval process of new immigrants applications from China is handled by China, not Hong Kong. Some of them stay in Hong Kong (via travel visa) and apply for benefits from the Hong Kong social welfare! Luckily, the Hong Kong SAR government has changed the law – why should the tax payer be subsiding the people who took advantage of the system in Hong Kong and have the rest of their families move to HK and continue to take advantages and resources of Hong Kong. When people of Hong Kong suggest that these parents should have taken their children back to China – if raising children is so difficult! They make the excuses for not being able to help their children to apply for ID card in China (because of the one child policy). Shouldn’t they have thought about it before having the second child? Parents of anchor babies also complain that the quality of life and the number of school spaces is not good enough for them. If you’re expecting to have a house this big (see picture below), you really can’t live on social benefits – not many people can afford houses like this in Hong Kong! They keep saying that they are under a lot of pressure living in Hong Kong, but why can’t they move back to their home town? If Hong Kong is such a difficult place for you to live and there’s a much easily and comfortable life waiting for you in China, why insist on staying in Hong Kong? The problem is spreading to the US and many other Western countries too. I recently read that Canada is considering to change its law to stop anchor babies from getting citizenship. 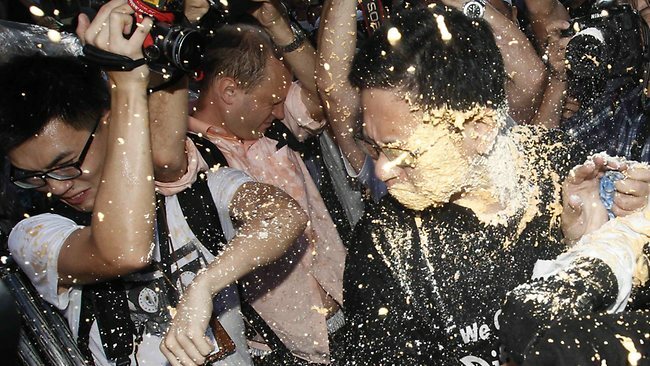 People want democracy in Hong Kong? Simple answer is: as long as China continues to have sovereignty over Hong Kong, that’s impossible. One Country Two System? A complete utter LIE from day one! Put it quite simply: how could a communist dictatorship govern a city-state that’s semi-democratic (part of the legislature is elected by the people) and practices capitalism? Hong Kong courts practice Common Law, and all are innocent until proven guilty, and China is completely the opposite (guilty until proven innocent); education system: completely different; lifestyle: completely different; culture: share some similarities but not quite; etc. Why did the Brits agreed to hand Hong Kong over to China is still a mystery. China never owned Hong Kong to start with! It was the Qing (translation from Chinese: Great Qing Country) who owned Hong Kong (HK Island and Kowloon Peninsular), which was ceded to England perceptually. The New Territories were leased to the Brits for 99 years (I hate keep repeating myself, but once again 99 years in Chinese language is the equivalent of eternity). If the Brits wanted to “hand Hong Kong back” to a country, they really should have gone to Taiwan which holds the treaties about the above because Kuomintang was the one that overthrew Qing. In any case, the Brits should have known better that Chinese cannot be trusted (Hong Kongers aren’t Chinese – Chinese is a concept/term that is so vague which covers a lot of things the Western world refer to, which is a massive topic). They must have seen the impossibility of this “One-Country-Two-System” crap. What were the Old China Hands thinking? Do you honestly think that by living in China for a few years you’re able to understand Chinese? Have you read the famous book The Ugly Chinaman and the Crisis of Chinese Culture by Bo Yang. It is such a shame that the book I Don’t Want to Be Chinese Again was not out earlier. The UN allowed the Chinese to bully them over the issue of taking Hong Kong and Macau off the list of colonies in the 70s was beyond believe. 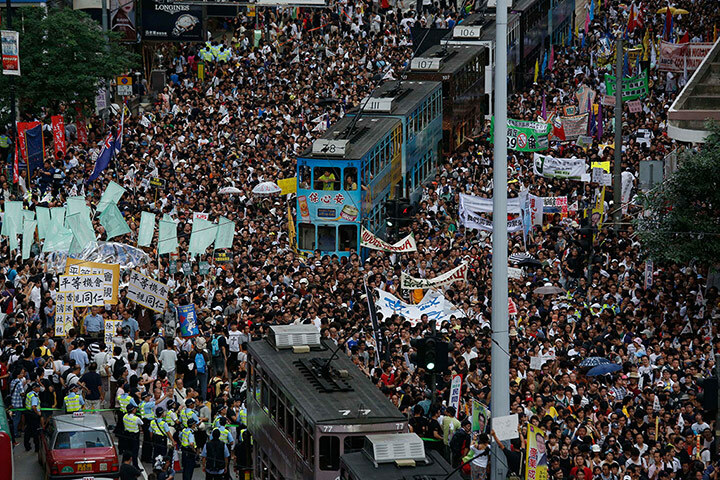 All the nations in the UN are guilty for helping China to conolise Hong Kong. They should right their wrongs. A friend forwarded this article to me which is very encouraging.